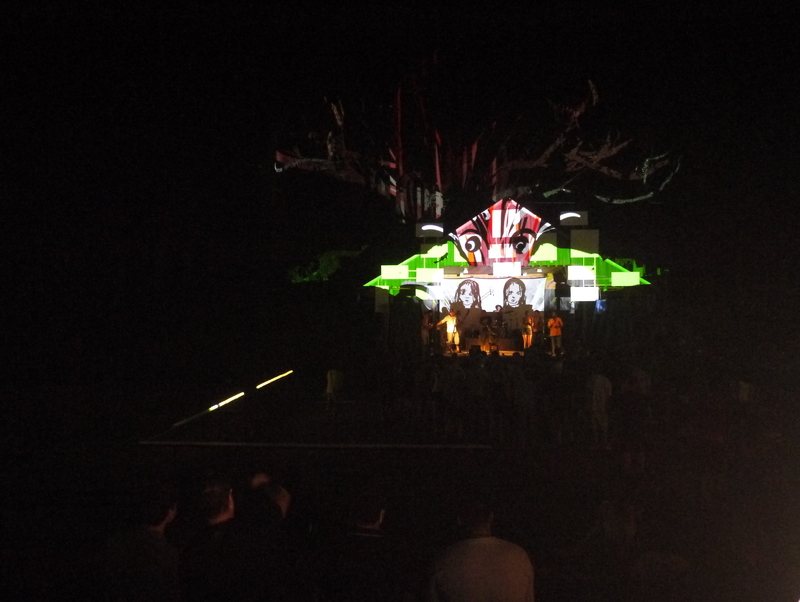 When it was getting late I decided to do some scary heads in the trees…. 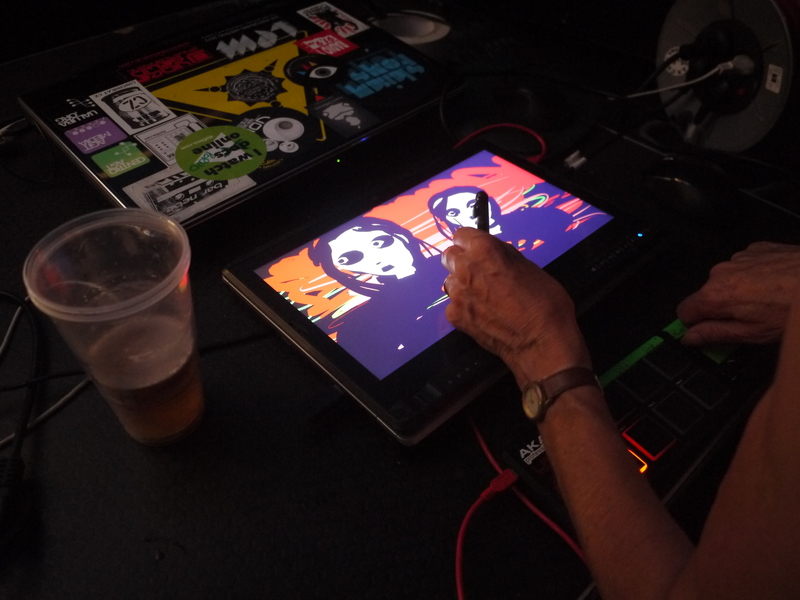 We had a really good time at the festival and I will end the post with a big ‘thank you’ to Nicola for this unexpected opportunity to do some drawing! 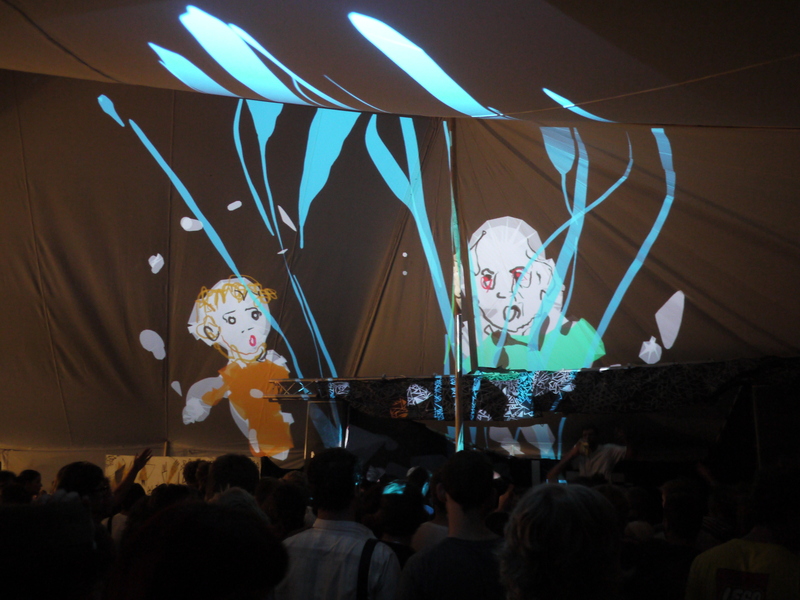 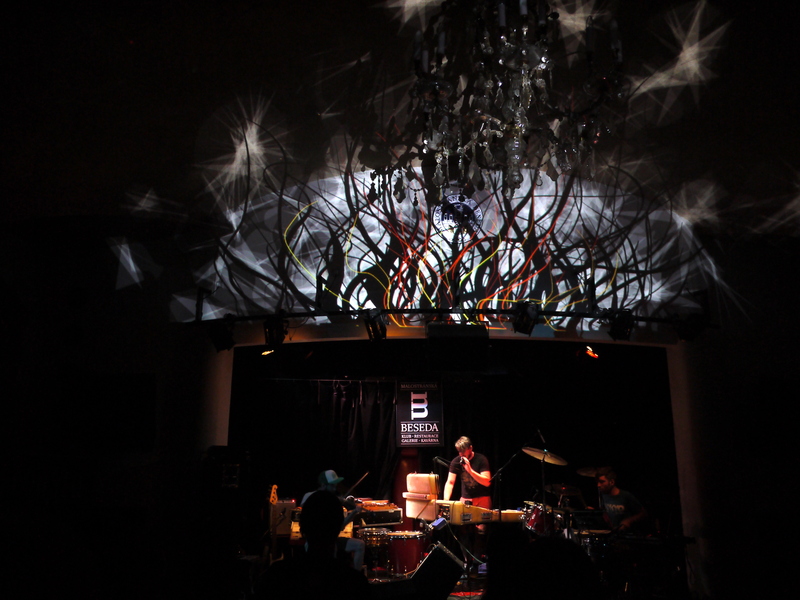 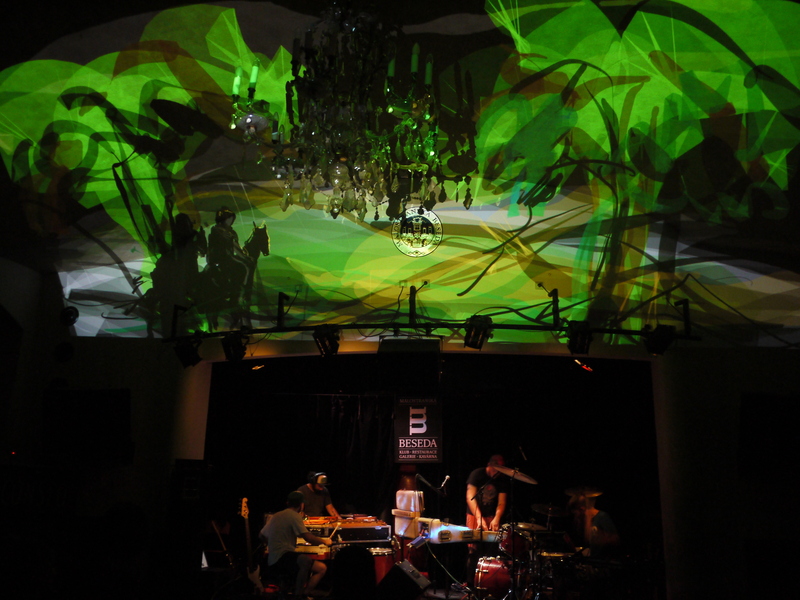 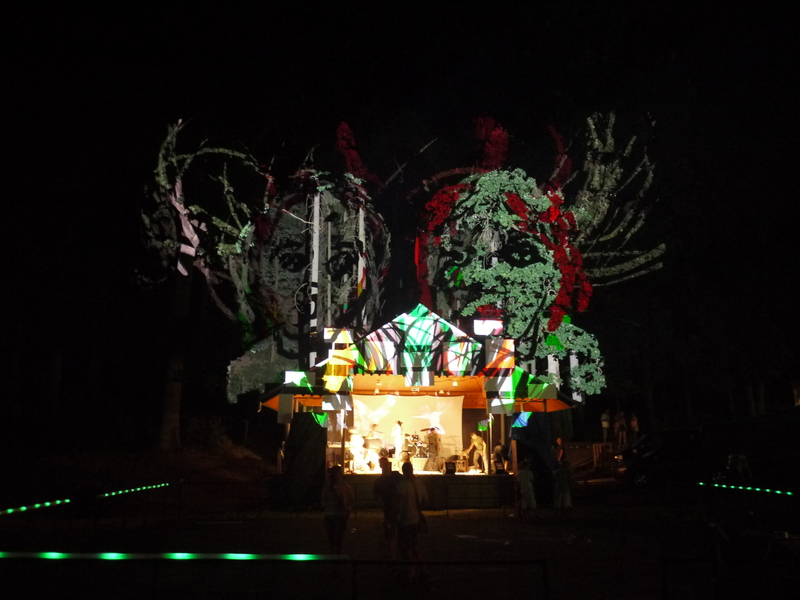 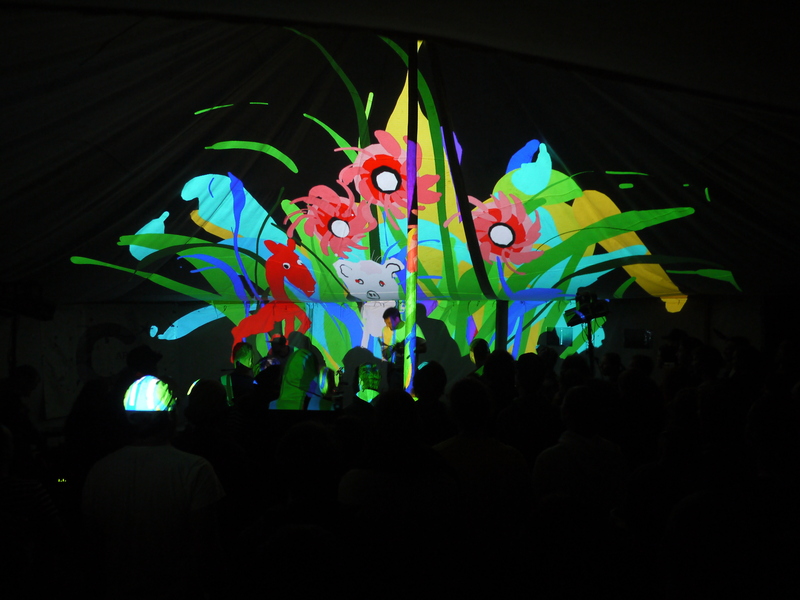 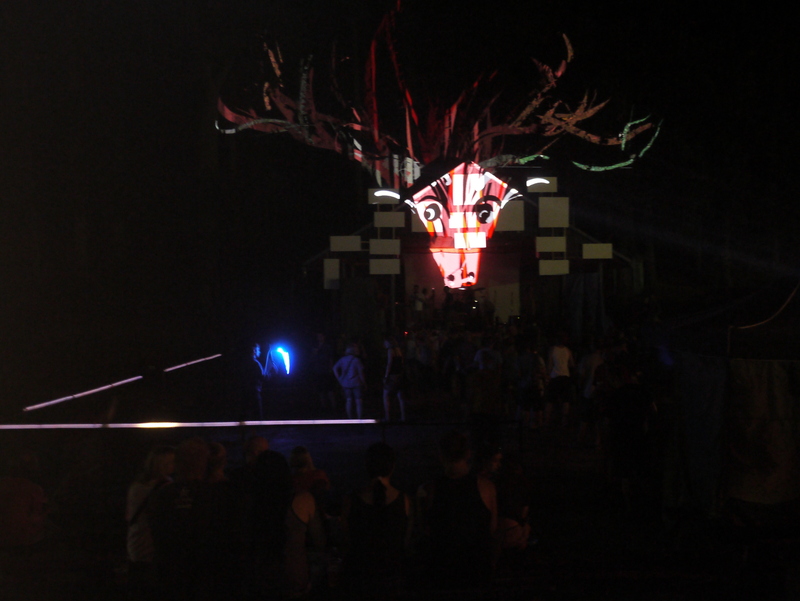 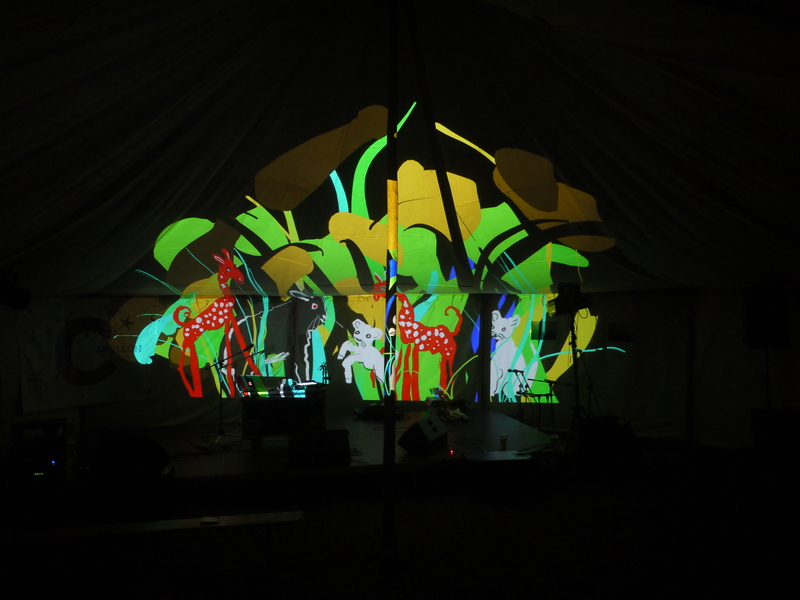 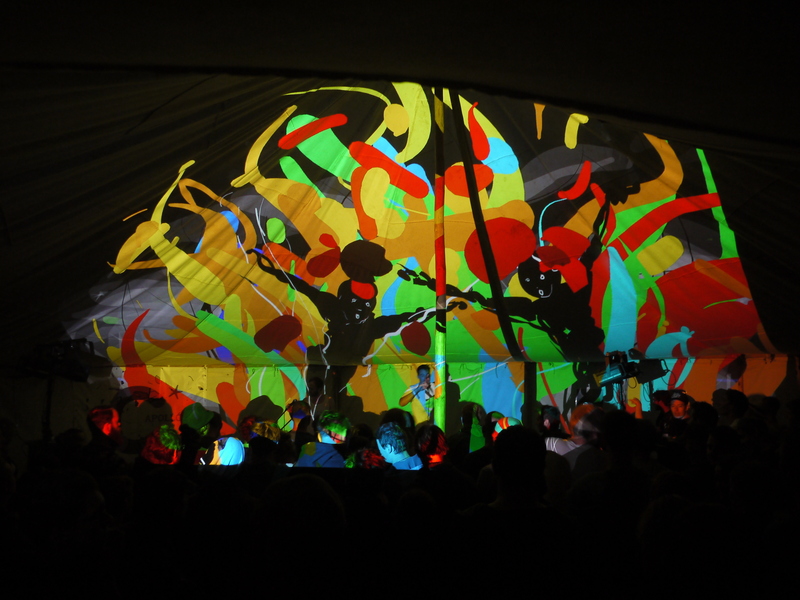 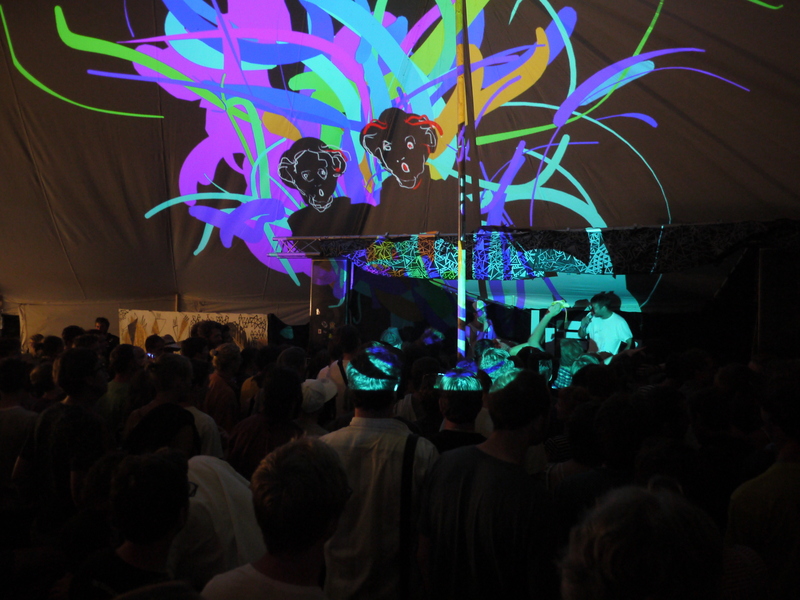 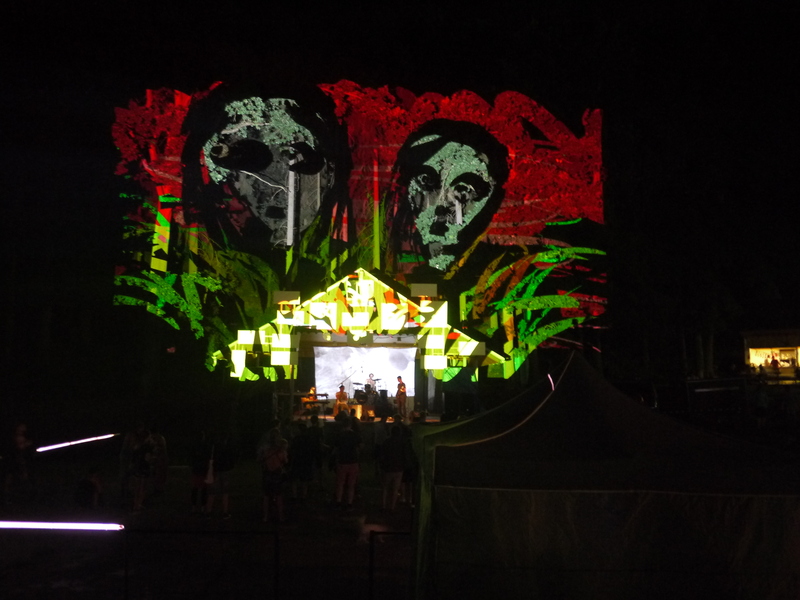 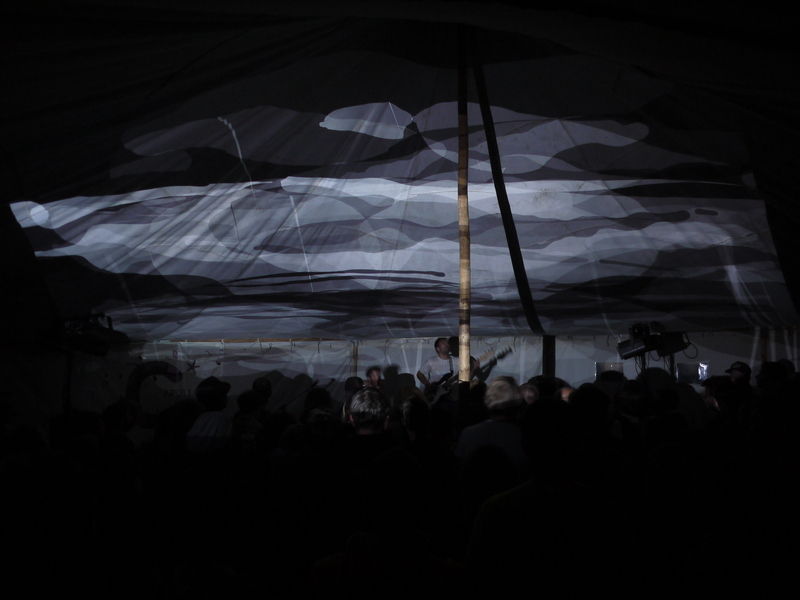 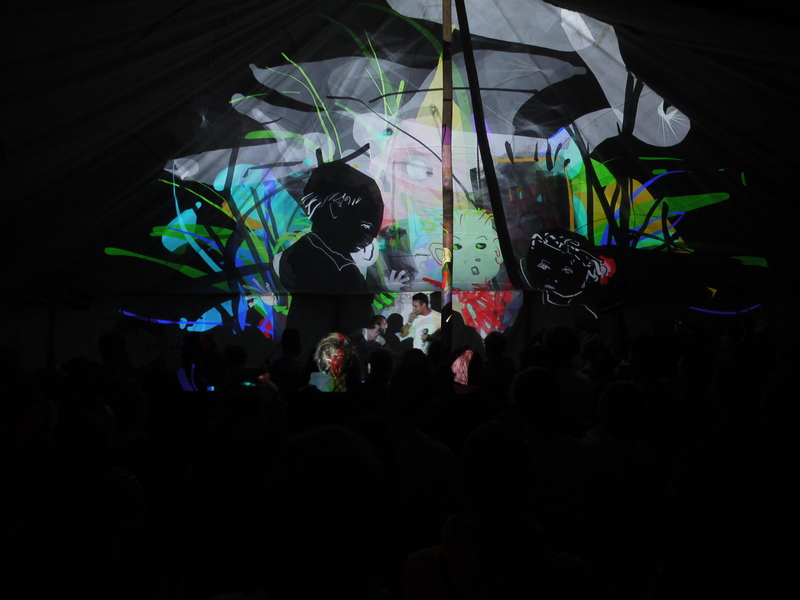 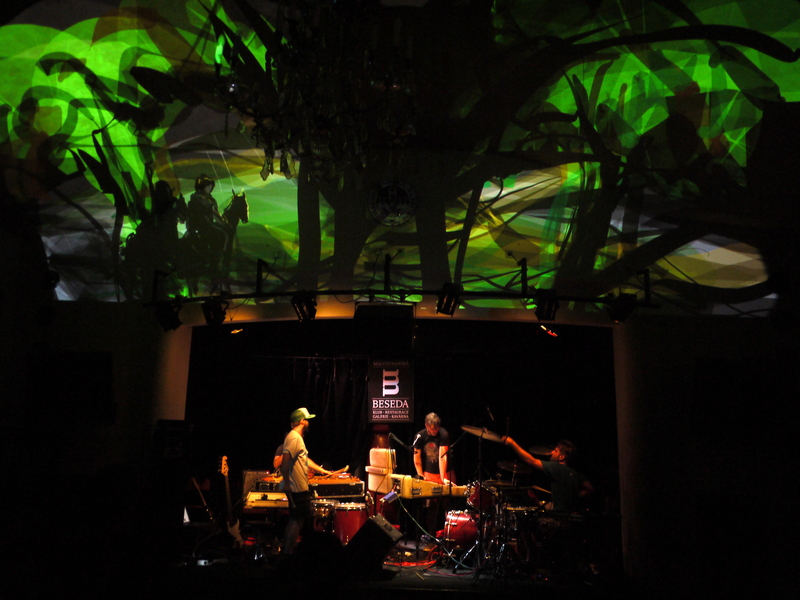 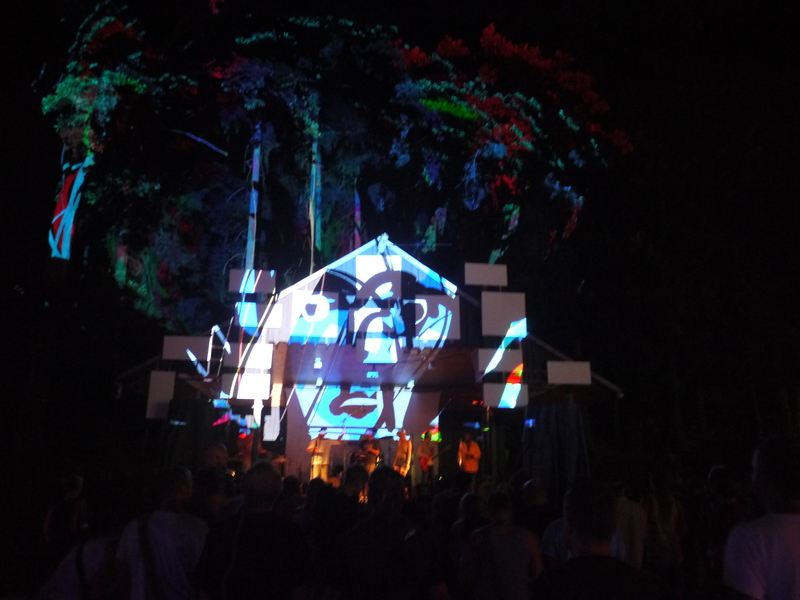 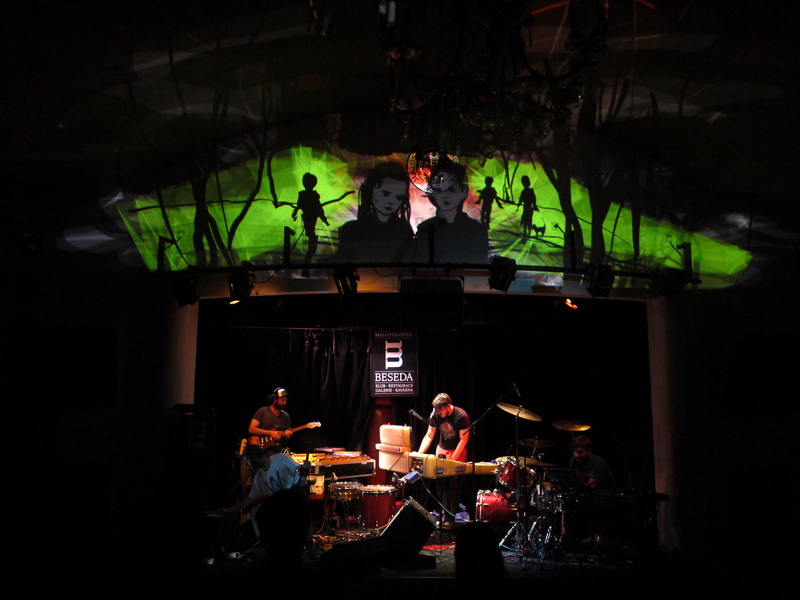 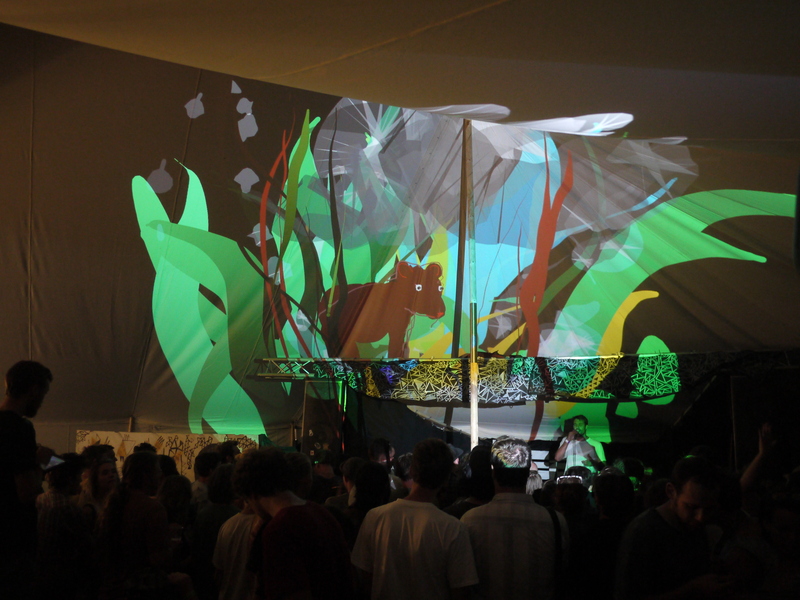 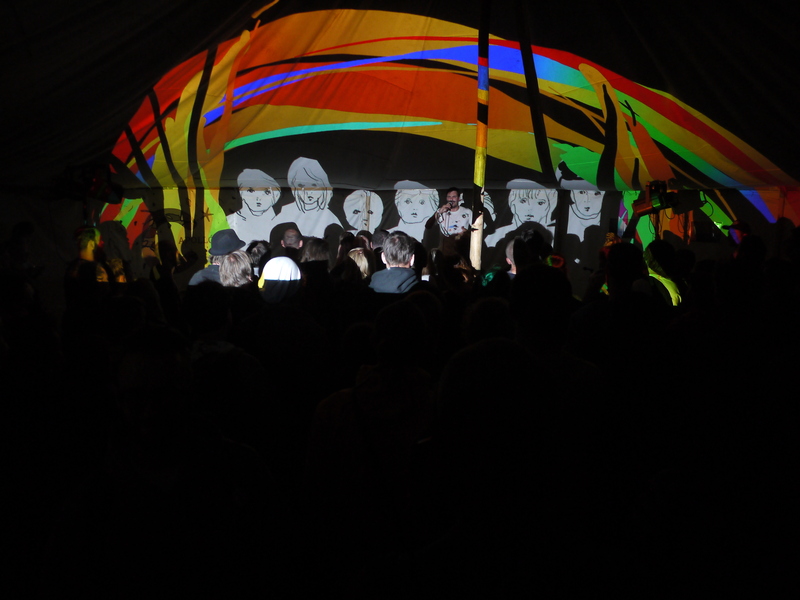 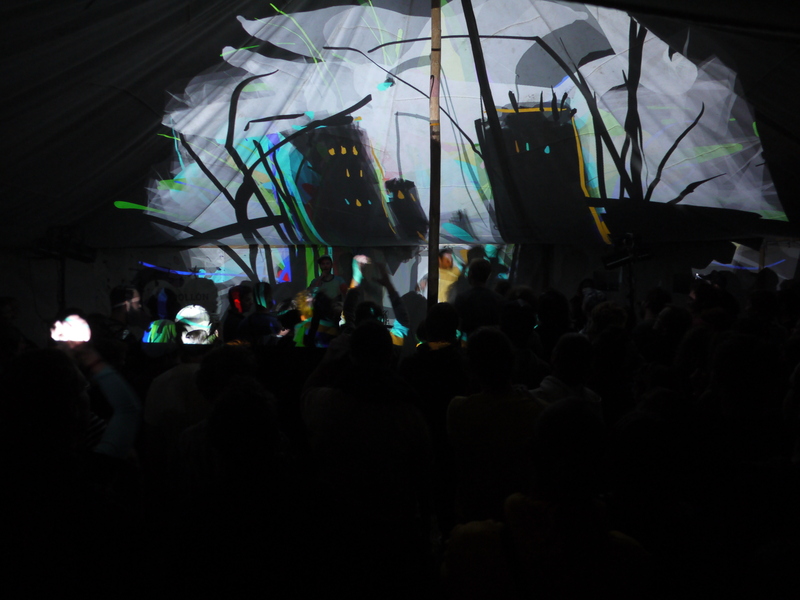 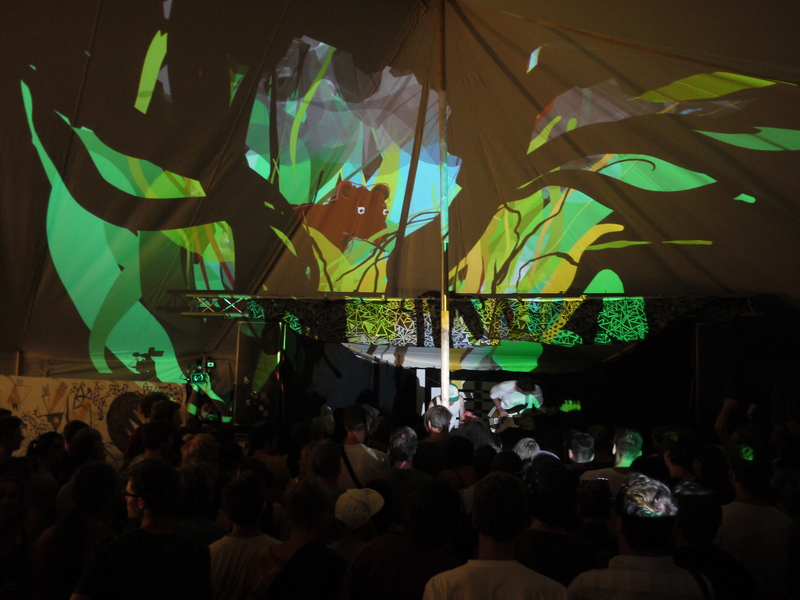 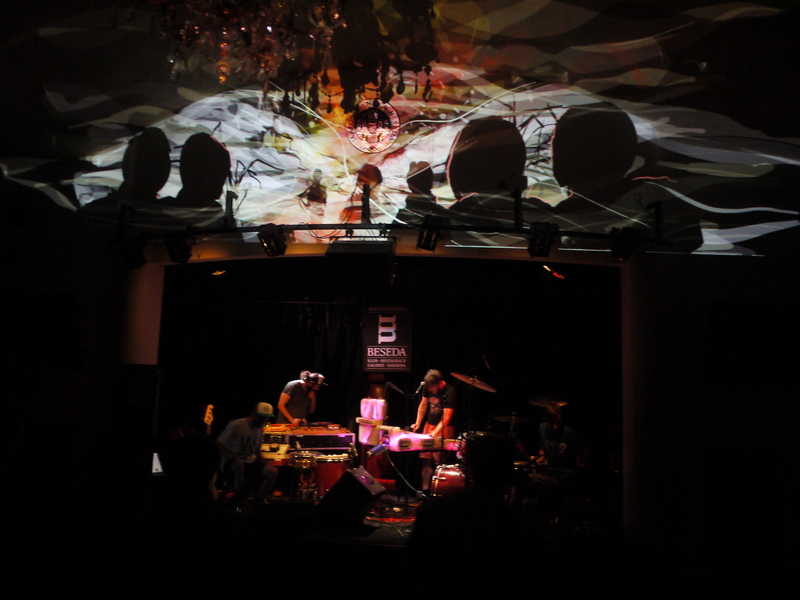 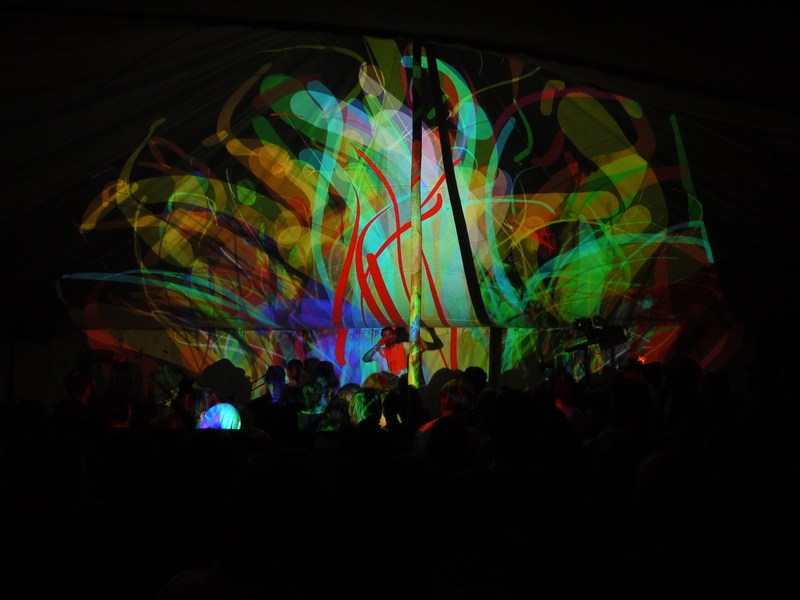 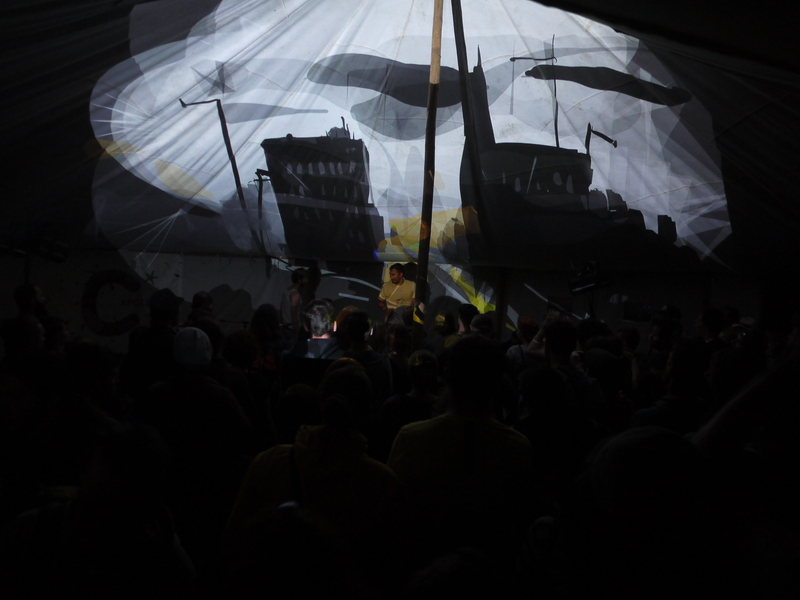 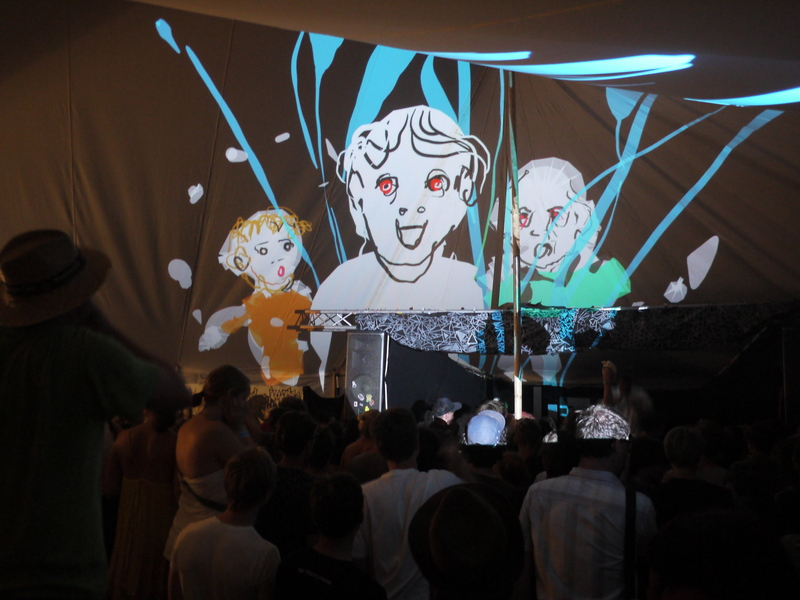 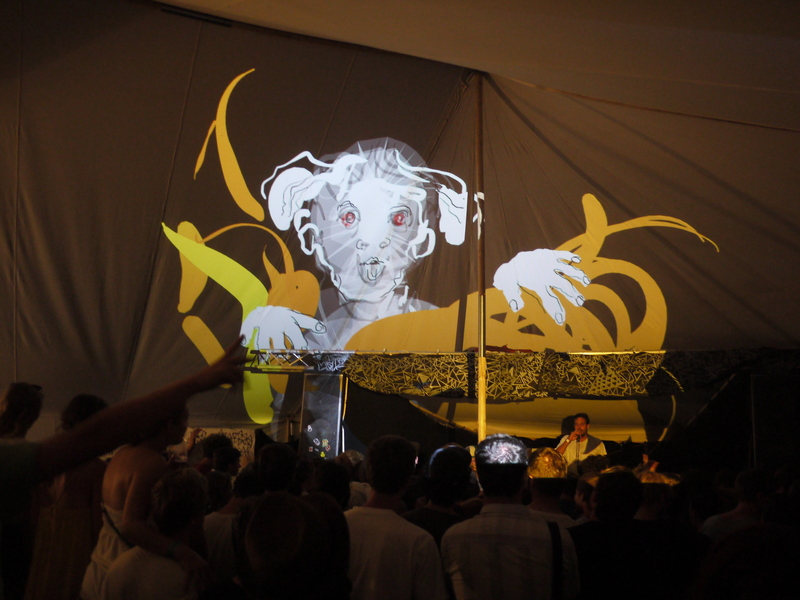 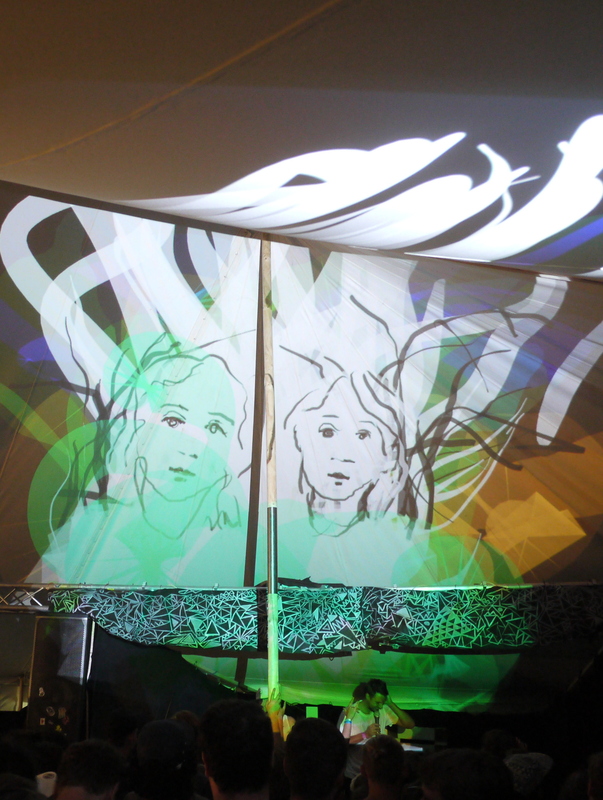 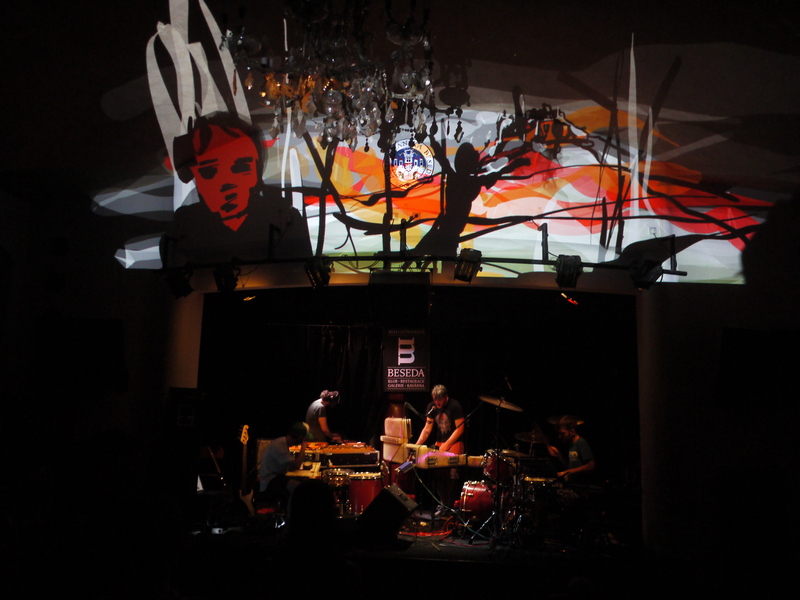 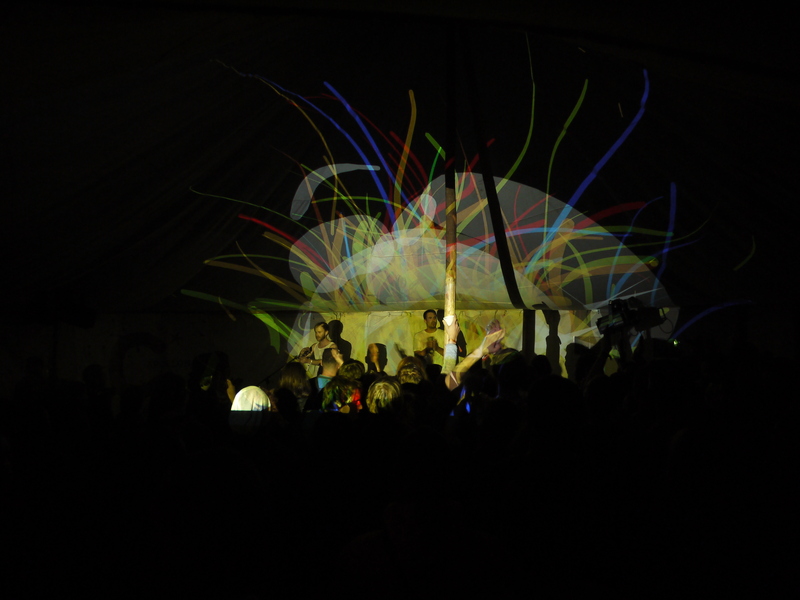 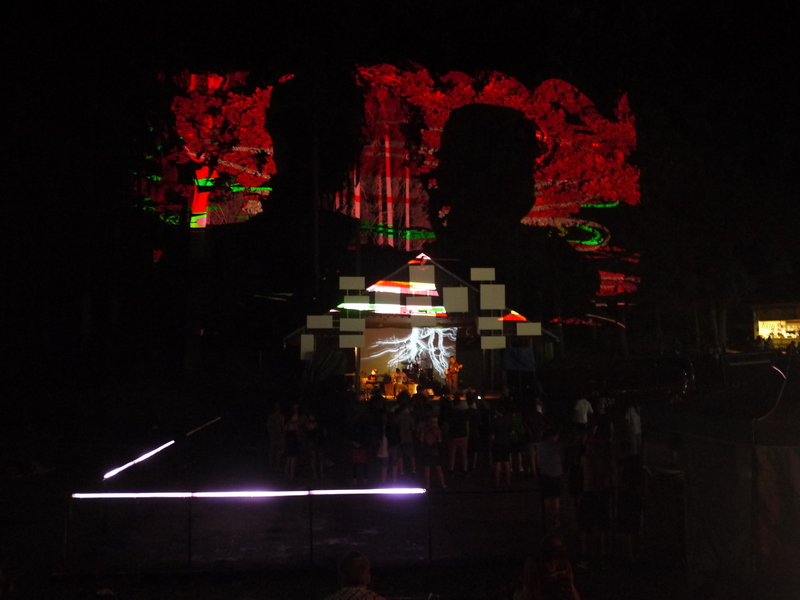 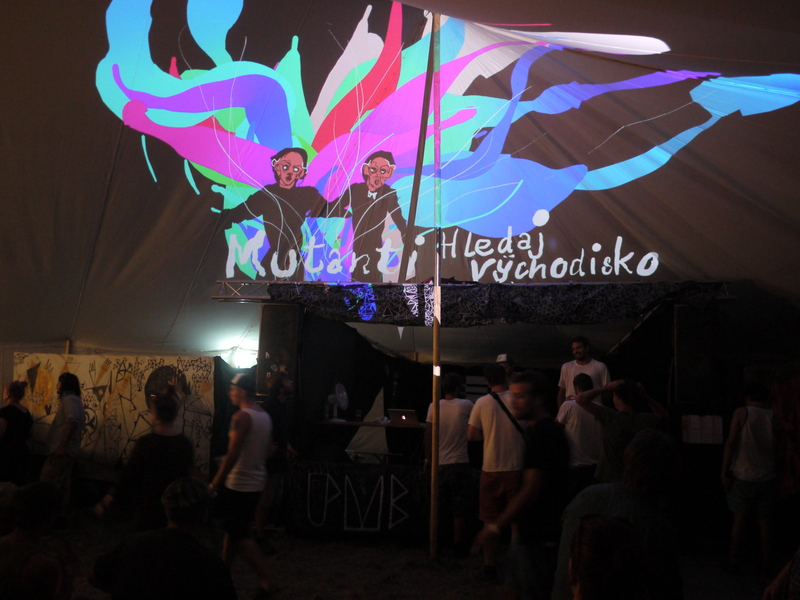 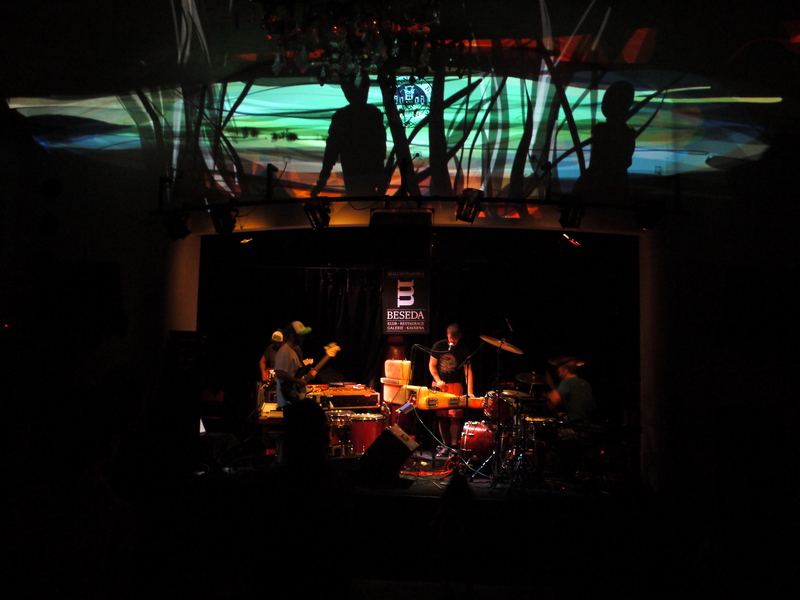 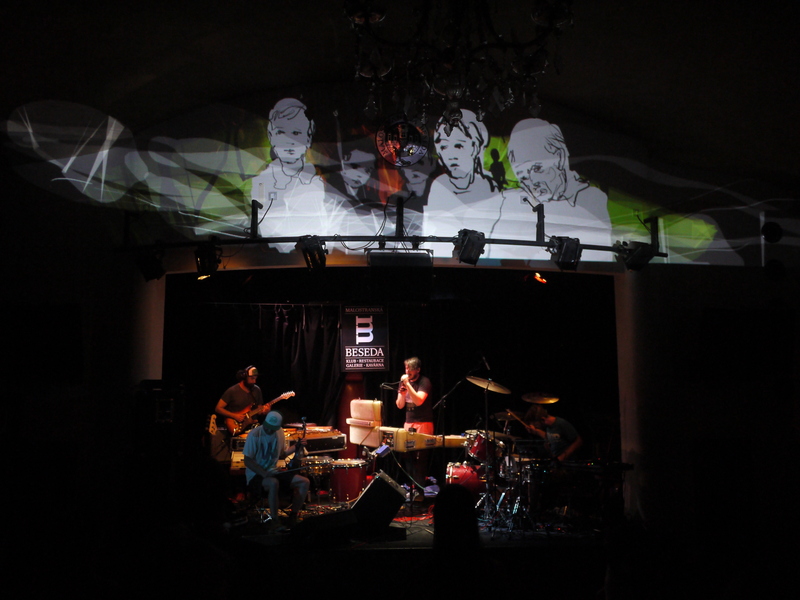 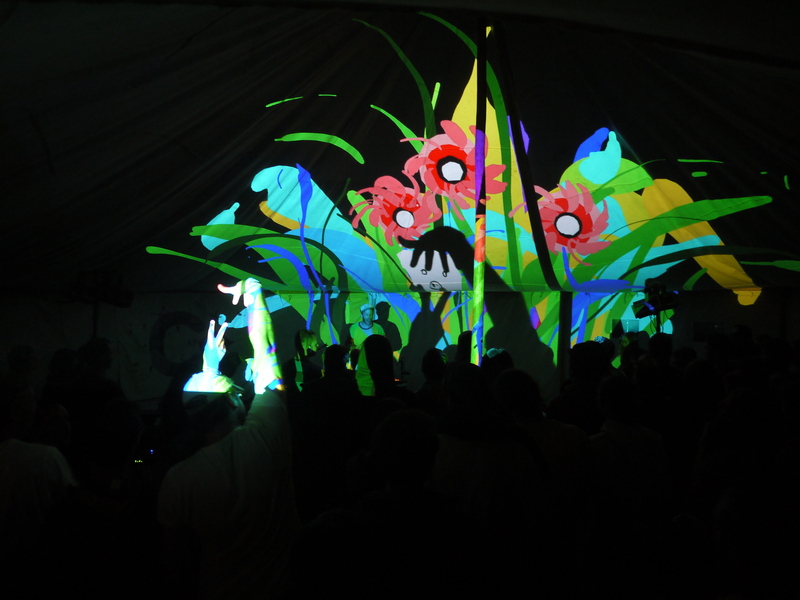 Tagtool drawing to announce Mutanti Hledaj Východisko’s second performance on Saturday night in the Pub Stage tent at this very popular Czech festival held in the beautiful countryside at the castle in the village of Valeč near Karlovy Vary. 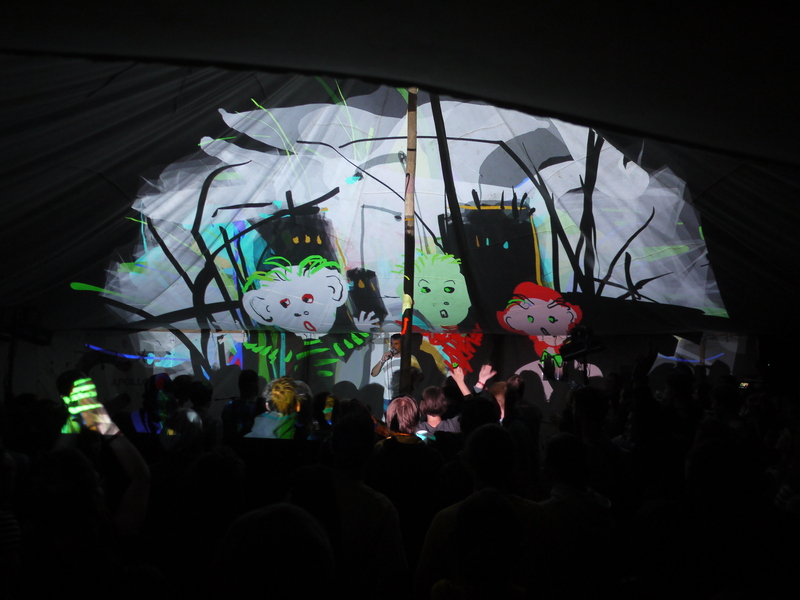 ….and after that it was time for me to draw some mutants…. 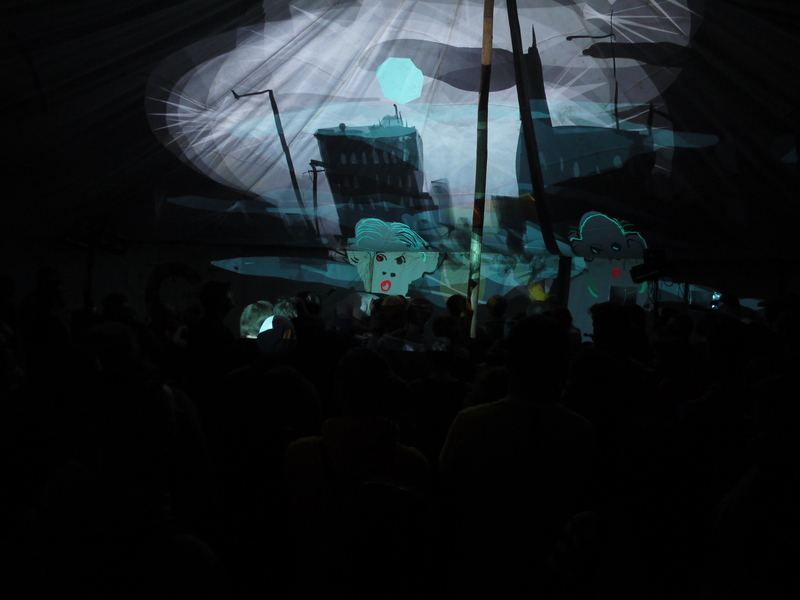 As it had proved very popular with the audience at Festival Beseda u bigbitu, between drawings of the ‘mutants’, I made more abstract sequences while Dima did some fast-moving ‘machine gun’ style animation (no photos of this of course!). 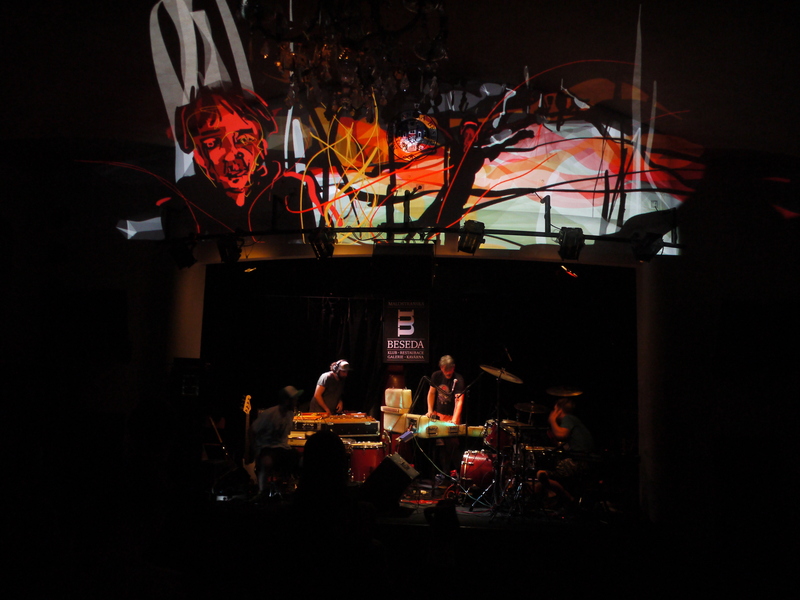 I think that this kind of technique works well with Mutanti’s electronica/rap performance – and makes for a more varied visual accompaniment in keeping with the range of their music. 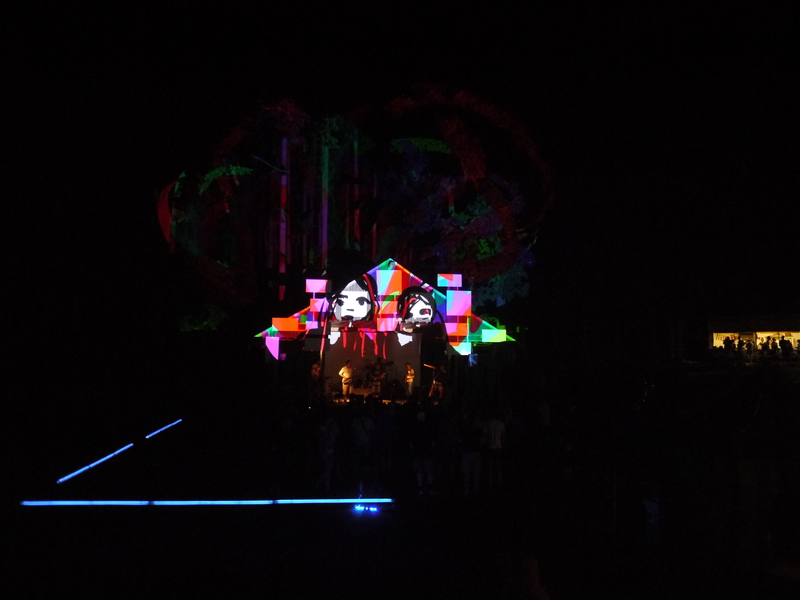 But to end this post here are two nice girls…. 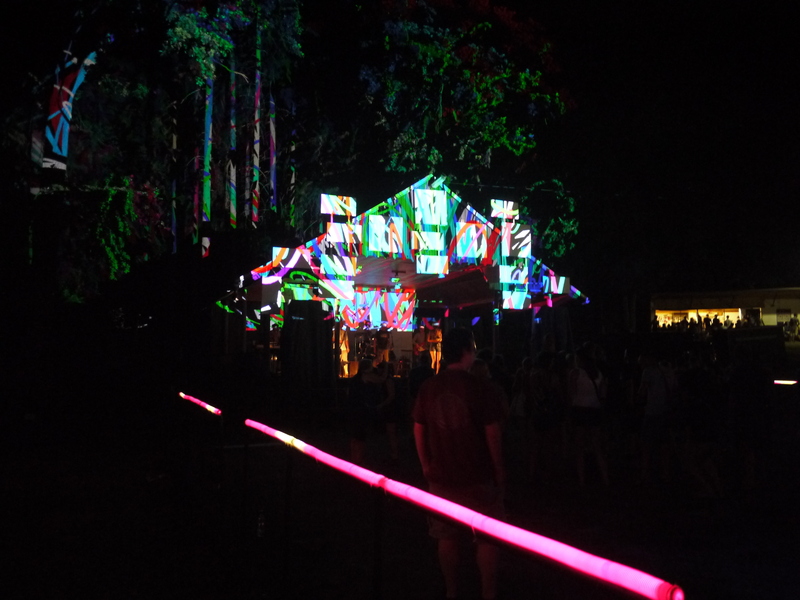 and not a mutant in sight!